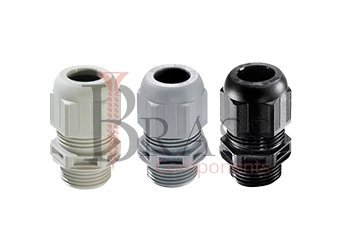 Plastic Cable Glands are manufactured from plastic, polyamide or other material composition as per custom specification. The manufactured range of Plastic Cable Glands are compiled to meet the BS: EN 50262:1999 Standards. Plastic Type Cable Glands are constructed with PG, Metric or NPT Threads. The Standard range of Plastic Cable Glands ensure the characteristics of enclosure which maintained adequately. Plastic Cable Glands are available in larger sealing range, improved strain relief and a unique identification system. Plastic Cable Glands are designed for various commercial and industrial applications which require high degree of protection. Depend on variety of applications for Plastic Cable Glands are available with different types of Cable Gland Accessories including Lock Nuts, Serrated Washers, Earth tag, Reducer, Neoprene washer, Adapter and more. Available in PG, Metric or NPT Threads. 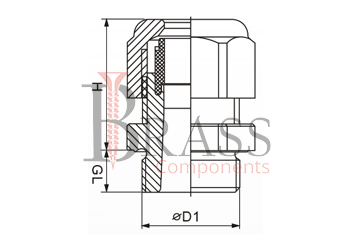 Anti- Vibration and Anti-Corrosion Cable Glands. Mechanically tightened cable glands with neoprene seal. Available with IP66, IP54, IP67 and IP68 Ingress Protection. Temperature Range: -40 °C to 70 °C. Heat Resistant Plastic Cable Glands. VDE, CE, cUL and UL Approved Plastic Cable Glands. Available with variable clamping range. Easy to Assemble and Install Cable Glands. Used as a sealing and termination device. Used in conjunction with cable and wiring throughout the electrical automation and instrumentation system. Widely used in electrical power, control, data, communication and instrumentation industries. Used in areas where a lot of cables and wires require to be installed or inserted. Widely used in most of industrial applications for protecting and sealing cable or wire in transition. We manufacture Plastic Cable Glands as per Custom Specification and export in France, Italy, Switzerland, Poland, Greece, UK and other European Countries. For more Information, Please Contact Us or Inquiry Now.